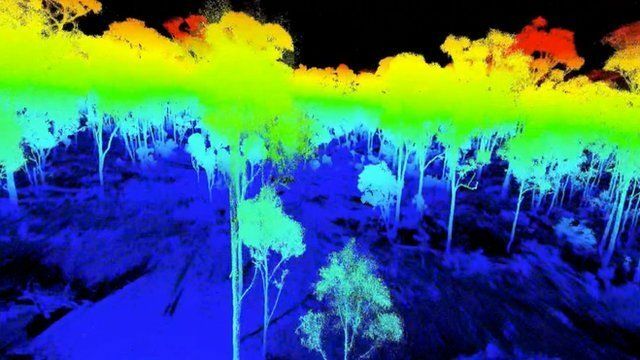 A walk through a laser-scanned forest Jump to media player Why scientists are weighing the rainforests with lasers. Scientists are using lasers to accurately "weigh" trees in the tropical rainforests. The researchers, from University College London and the National Physical Laboratory created an animation of their laser-scanned trees, which they presented at the British Ecological Society meeting in Liverpool. The method could help to monitor and combat deforestation by more accurately calculating how much carbon is locked within the rainforests, so a financial value can be assigned to in-tact forests.